(CNN) – Food safety inspections, early education classrooms and mental health treatment are all at risk if massive forced spending cuts are allowed to take effect at the end of this week, the White House said Sunday. Those cuts would accompany deep reductions in defense spending - including stalling maintenance on Navy ships - that are also poised to trigger March 1. 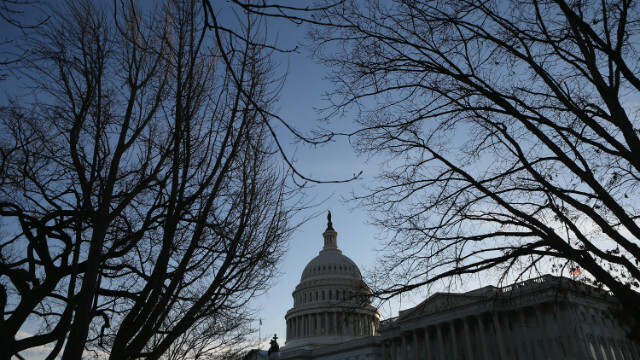 (CNN) - Optimism for a last-minute deal averting massive across-the-board spending cuts was scarce Sunday, leaving lawmakers and governors squabbling over who will be to blame for the "meat cleaver" budget slashing set to take effect on March 1. Congress returns to work Monday after a weeklong break, and while Senate Democrats plan to vote on a measure that would replace the cuts for one year, no feasible compromise plan appears in the works that would gain congressional approval before Friday. 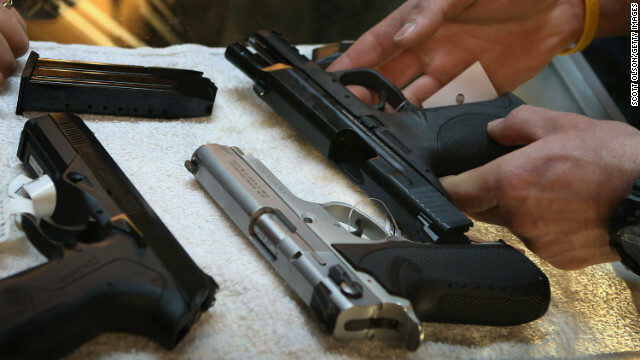 (CNN) - Ramping up background checks on gun sales, which is regarded as the gun control measure with the best possible chance of gaining congressional approval, is by no means a sure thing, a key player in gun legislation negotiations said Sunday. Sen. Tom Coburn, who is among a bipartisan group of four senators working behind the scenes on a bill to expand background checks, said a sticking point had emerged on whether to keep records on gun owners. (CNN) – Many see tweeting as the future of communication - even the future of reporting – where stories are told one line at a time and spread through social channels faster than any newscast or newspaper. But Mitt Romney's former top campaign strategist sees political pitfalls. (CNN) - The Senate will move forward in confirming President Barack Obama's nominee to become defense secretary this week, a leading Republican who opposes Chuck Hagel's elevation to the role said Sunday. "I don't believe Chuck Hagel, who is a friend of mine, is qualified to be secretary of defense. But I do believe that elections have consequences, unfortunately, and the president of the United States was re-elected," Sen. John McCain said on "State of the Union." (CNN) - Republicans won't be punished by conservative primary voters if they back comprehensive immigration reform legislation, Sen. John McCain predicted Sunday. The Arizona Republican, who saw backlash from conservatives for his support of immigration reform proposals during his bid for the 2008 GOP presidential nomination, said that as long as certain provisions were included in the plan, Republican voters would get on board. (CNN) - The Department of Transportation will have no choice but to cut staffing of air traffic controllers if the upcoming forced spending cuts take effect, the agency's boss said Sunday, defending against allegations that the warnings are merely bluster to help the Obama administration force a deal with congressional Republicans. As part of the forced cuts, which total $85 billion for the entire government, the Federal Aviation Administration will be required to slash $600 million from its budget. 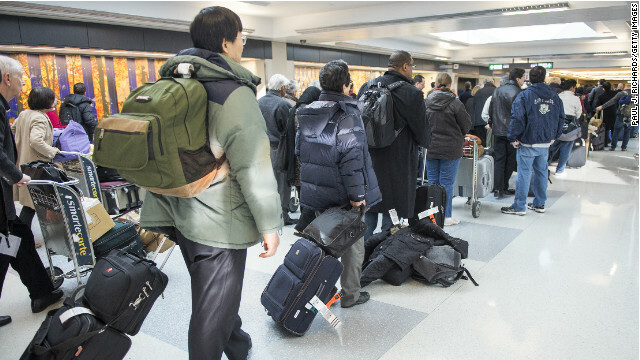 Appearing at the White House on Friday, Transportation Secretary Ray LaHood warned those cuts would result in major delays at American airports. 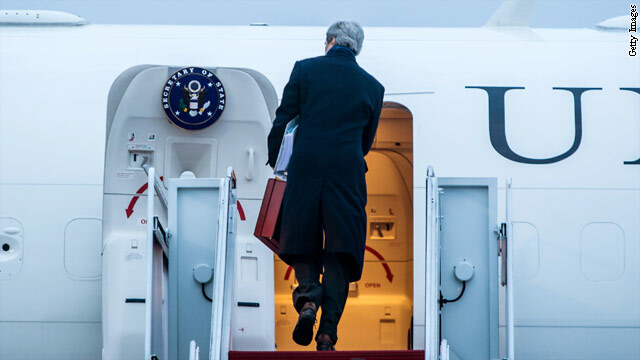 (CNN) - John Kerry's first international trip as secretary of state is right out of diplomatic "central casting" - at least the first half, designed to avoid diplomatic pitfalls. But that may end up being impossible. The 11-day, nine-country sojourn - to England, Germany, France, Italy, Turkey, Egypt, Saudi Arabia, the United Arab Emirates and Qatar - begins with a warm embrace for America's traditional European allies.